John T. Booker is a U.S. citizen, convert to Islam, and attempted domestic terrorist who pled guilty to plotting an ISIS-inspired suicide bombing at the U.S. Army base in Fort Riley, Kansas. He was arrested in April 2015 after a year-long FBI investigation, and charged with one count of attempting to use a weapon of mass destruction, one count of attempting to damage property by means of an explosive, and one count of attempting to provide material support to a designated foreign terrorist organization.Reuters, “A 20-year-old US man was arrested for plotting a suicide bombing at a Kansas Army base,” Business Insider, April 10, 2015, http://www.businessinsider.com/a-20-year-old-us-man-was-arrested-for-plotting-a-suicide-bombing-at-a-kansas-army-base-2015-4. Booker pled guilty on February 3, 2016, to attempting to destroy government property with an explosive device.“Kansas man pleads guilty in ISIS plot to bomb Army post,” CBS News, February 3, 2016, http://www.cbsnews.com/news/kansas-man-pleads-guilty-in-plot-to-bomb-army-post/. Booker reportedly converted to Islam during his senior year of high school.M.L. Nestel and Ryan Walsh, “What We Know About John Booker, the Man the FBI Thought Might be a Jihadi,” Vocativ, April 2, 2014, http://www.vocativ.com/usa/military/know-john-booker-man-fbi-thought-might-jihadi/. Soon after, he attended a local mosque where he engaged in arguments with fellow mosque-goers and reportedly expressed support for al-Qaeda. According to the mosque’s imam, Booker had been diagnosed with bipolar disorder.John Hayward, “Kansas Man Arrested for Planning Car Bomb Jihad Attack on Ft. Riley,” Breibart News, April 12, 2015, http://www.breitbart.com/national-security/2015/04/12/kansas-man-arrested-for-planning-car-bomb-jihad-attack-on-ft-riley/. The FBI began tracking Booker in March 2014 after he published Facebook posts about jihad.Reuters, “John T. Booker, Jr., Kansas Man, Arrested In Plot To Suicide Bomb Fort Riley For ISIS,” Huffington Post, last modified June 10, 2015, http://www.huffingtonpost.com/2015/04/10/us-man-arrested-bomb-fort-riley_n_7041960.html. In numerous meetings with undercover FBI informants, Booker allegedly expressed his desire to build and detonate a suicide bomb, targeting American armed personnel. According to the criminal complaint filed against him, Booker expressed that “detonating a suicide bomb is his number one aspiration because he couldn’t be captured, all evidence would be destroyed, and he would be guaranteed to hit his target.”“United States v. Alexander E. Blair,” United States District Court for the District of Kansas, U.S. Department of Justice, April 10, 2015, https://cchs.gwu.edu/sites/cchs.gwu.edu/files/downloads/Blair%20Criminal%20Complaint.pdf. 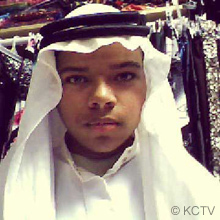 Mohammed Abdullah HassanReuters, “A 20-year-old US man was arrested for plotting a suicide bombing at a Kansas Army base,” Business Insider, April 10, 2015, http://www.businessinsider.com/a-20-year-old-us-man-was-arrested-for-plotting-a-suicide-bombing-at-a-kansas-army-base-2015-4. In April 2015, John T. Booker was arrested in the course of a year-long FBI investigation for allegedly plotting an ISIS-inspired suicide bombing at the U.S. Army base in Fort Riley, Kansas. “Today, Inshallah [God willing], we are going to build this bomb with 1,000 pounds of Ammonium Nitrate. Inshallah, this will kill many kuffar [nonbelievers]. This message is to you America. You sit in your homes and you think that this war is just over in Iraq . . . Wallahi [swear to God], we today we will bring the Islamic State straight to your doorstep. You think this is just a game, wallahi when this bomb blows up and kills as many kuffar as possible, maybe then you’ll realize it.”“Criminal Complaint,” United States District Court for the District of Kansas, U.S. Department of Justice, April 10, 2015, http://www.justice.gov/sites/default/files/opa/press releases/attachments/2015/04/10/booker_complaint.pdf. “To all the mothers, daughters, fathers, brothers, sisters and friends or loved ones of . . . any soldier in the United States military. Get your kids out. Get your loved ones out of the military. Because, wallahi, Dualah Islam [ISIS] is coming for them. From inside, whether it be in their homes, whether it be on a base like this, whether it be in the recruiting stations, whether it be in the streets . . .Wallahi, we are coming for them and we seek their blood because their blood is halal [permissible] for us to kill them.”“Criminal Complaint,” United States District Court for the District of Kansas, U.S. Department of Justice, April 10, 2015, http://www.justice.gov/sites/default/files/opa/press releases/attachments/2015/04/10/booker_complaint.pdf. “I will kill any kuffar [nonbelievers]. I will follow any place. Wallahi [I swear to God] if I was with Daulah Islam [ISIS] and they said look, we are going to the White House right now. Wallahi, I would go with them without any question.”“Criminal Complaint,” United States District Court for the District of Kansas, U.S. Department of Justice, April 10, 2015, http://www.justice.gov/sites/default/files/opa/press releases/attachments/2015/04/10/booker_complaint.pdf. “[I] was in jihad before, okay. I got captured. Okay, a long story short the people at the Masjid don’t like me because I support al Qa’ida openly. I’m not afraid, I was captured before . . . I was captured by FBI before . . . because I was with al Qa’ida. [I] joined the United States Army [but] hadn’t really completed, I hadn’t really started . . . I was going to go in there and kill the American soldier.”“Criminal Complaint,” United States District Court for the District of Kansas, U.S. Department of Justice, April 10, 2015, http://www.justice.gov/sites/default/files/opa/press releases/attachments/2015/04/10/booker_complaint.pdf. “Getting ready to be killed in jihad is a HUGE adrenaline rush!! I am so nervous. NOT because I’m scared to die but I am eager to meet my lord.” (Facebook Post)“Criminal Complaint,” United States District Court for the District of Kansas, U.S. Department of Justice, April 10, 2015, http://www.justice.gov/sites/default/files/opa/press releases/attachments/2015/04/10/booker_complaint.pdf. “I will soon be leaving you forever so goodbye! I’m going to wage jihad and hopes that i die.” (Facebook Post)“Criminal Complaint,” United States District Court for the District of Kansas, U.S. Department of Justice, April 10, 2015, http://www.justice.gov/sites/default/files/opa/press releases/attachments/2015/04/10/booker_complaint.pdf.